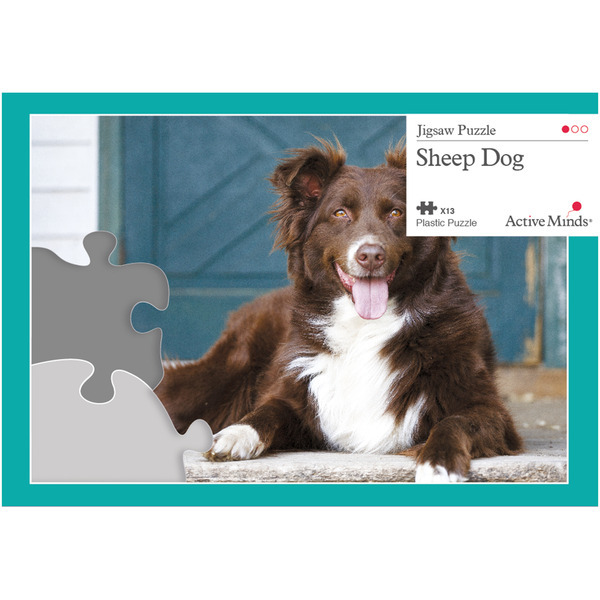 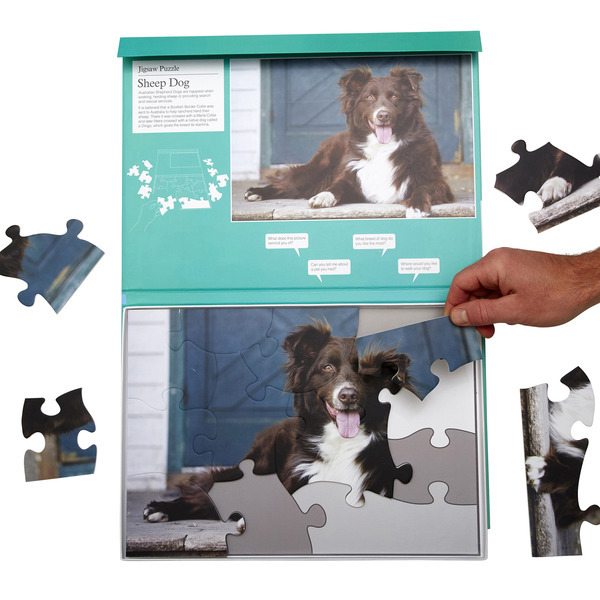 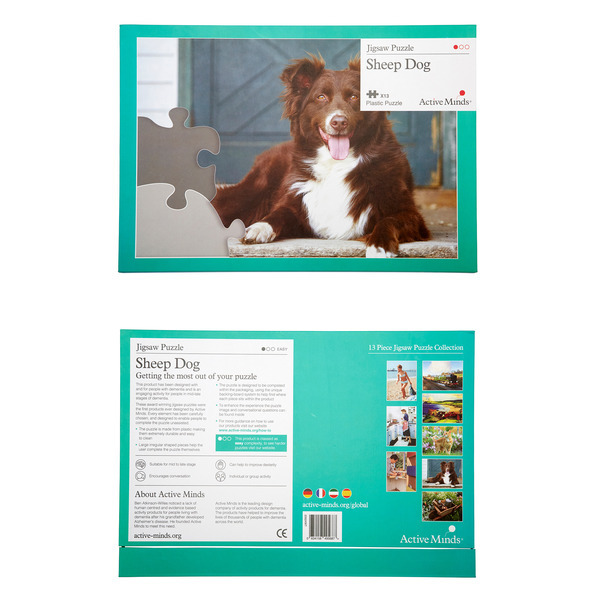 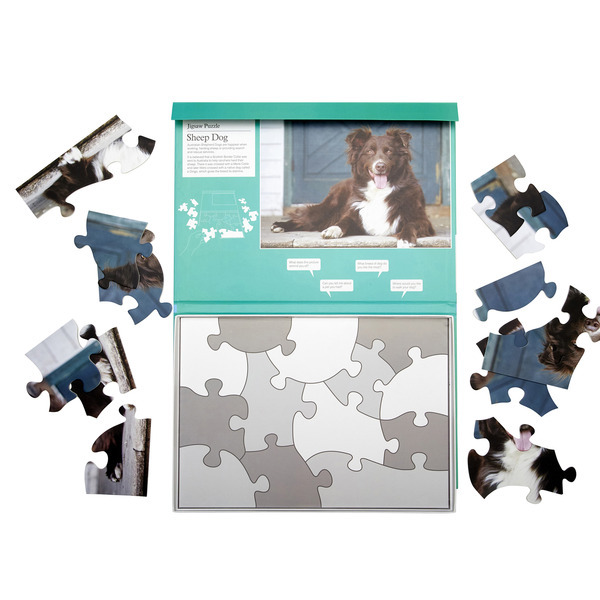 This puzzle is one of our-best sellers, and here are a few reasons why: Australian Shepherd Dogs' tranquil manner makes them a popular household pet and a happy member of any family, the friendly smile that is seen when the puzzle has been created is sure to make anyone happy. 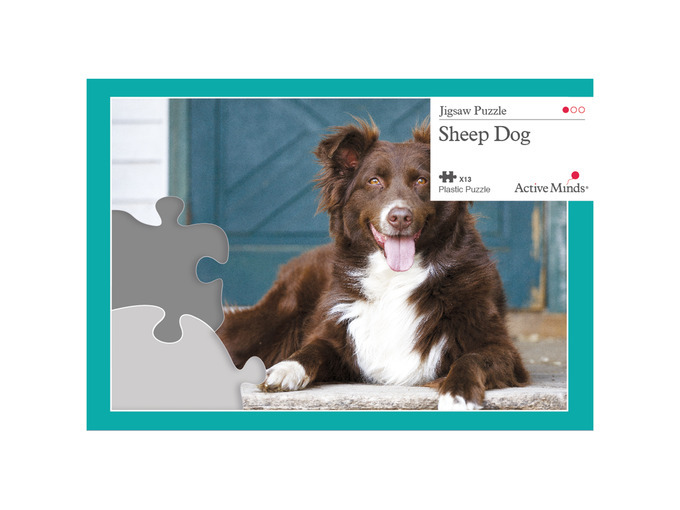 The beautiful image of the Sheepdog on this puzzle has been carefully chosen to stimulate memories and conversation once the puzzle has been completed. 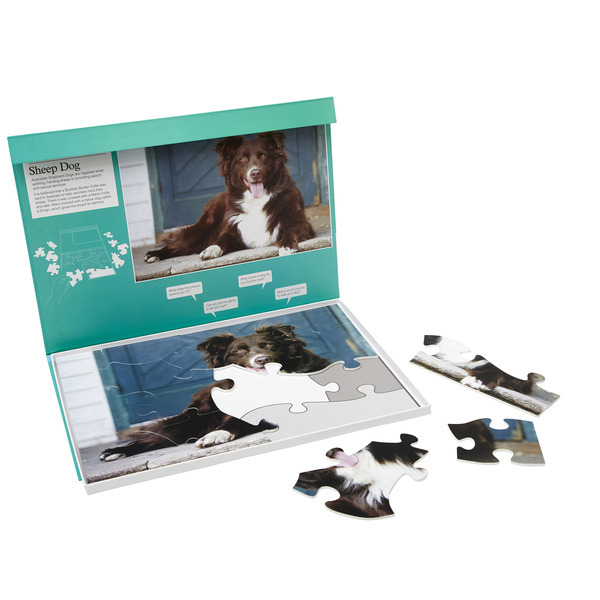 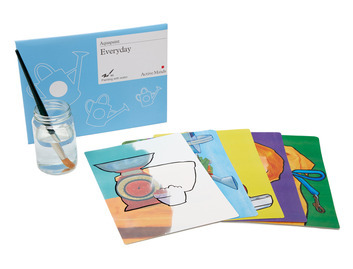 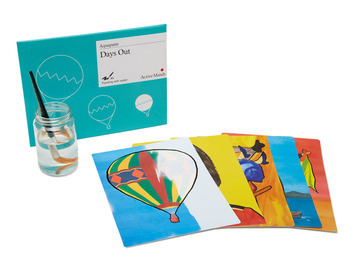 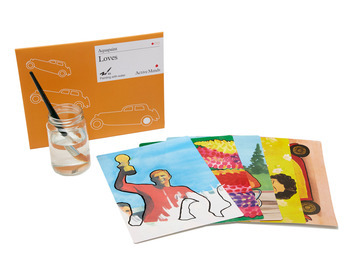 With thirteen pieces, this puzzle is the easiest in our range and suitable for people in the mid to late point of their dementia journey.